When you're on the hunt for an adorable ensemble for your girl, there's only one character you need look to for inspiration. You know, that Disney gal... the one with the big ears! We're talking about Minnie Mouse, of course, and when she's ready to show off her style at her party or on the first day of school, Minnie will be right there with her when you choose this Minnie Mouse Girls Blue Top & Leggings outfit set. 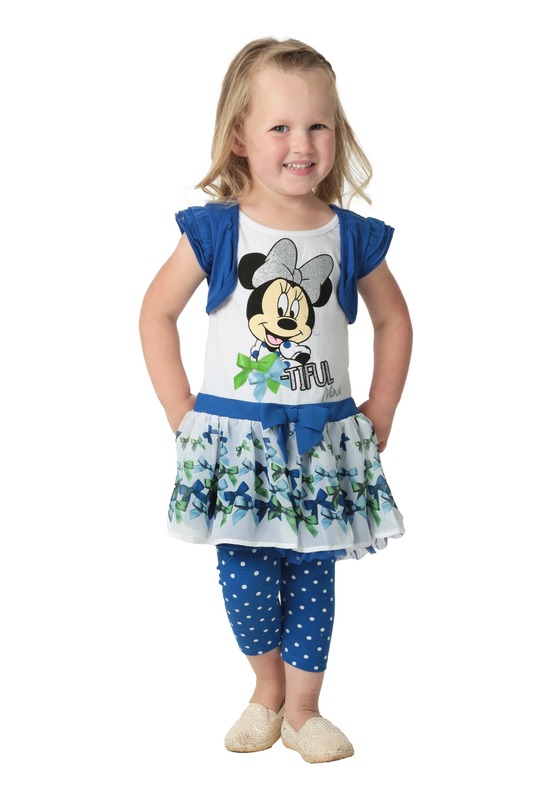 Disney officially licensed, this Minnie Mouse girl's outfit set is ready for fun. The dress is styled like a t-shirt with attached shrug and skirt. 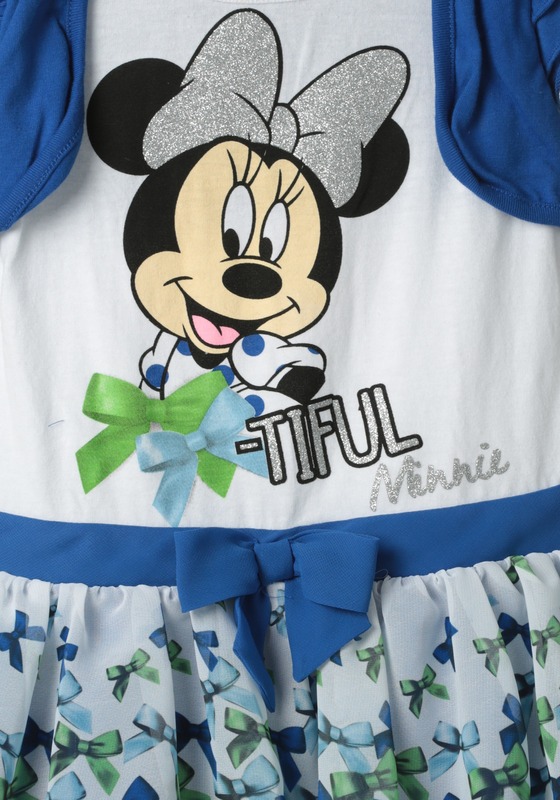 Of course, it has Minnie Mouse printed on the front, and bows printed on the skirt. And it has glitter details for extra effect! The polka dot stretch leggings coordinate and make this a complete ensemble. Get her this look, and she'll be ready to shine just like Minnie! 3T - $9.99 Only 1 left!